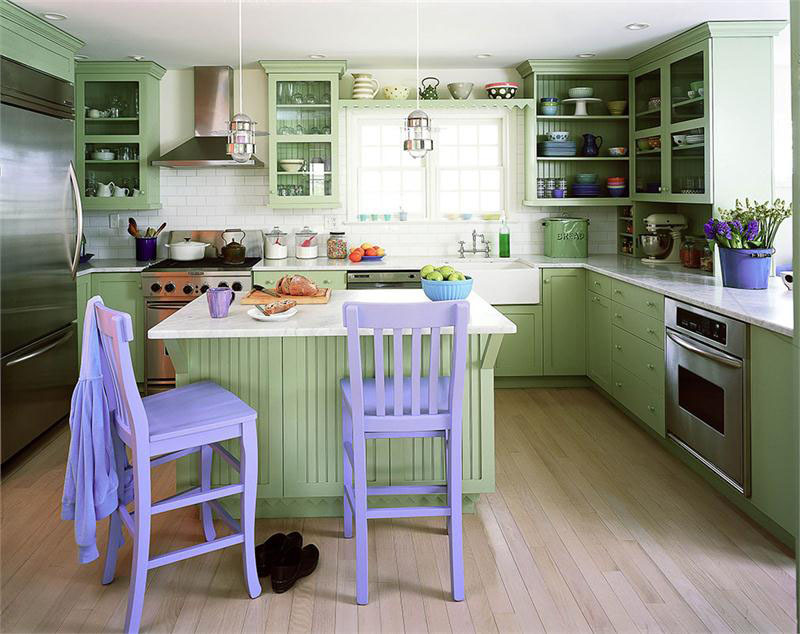 The contrasting color schemes of green cabinets and lavender bar stools provide the perfect balance to this attractive contemporary kitchen. 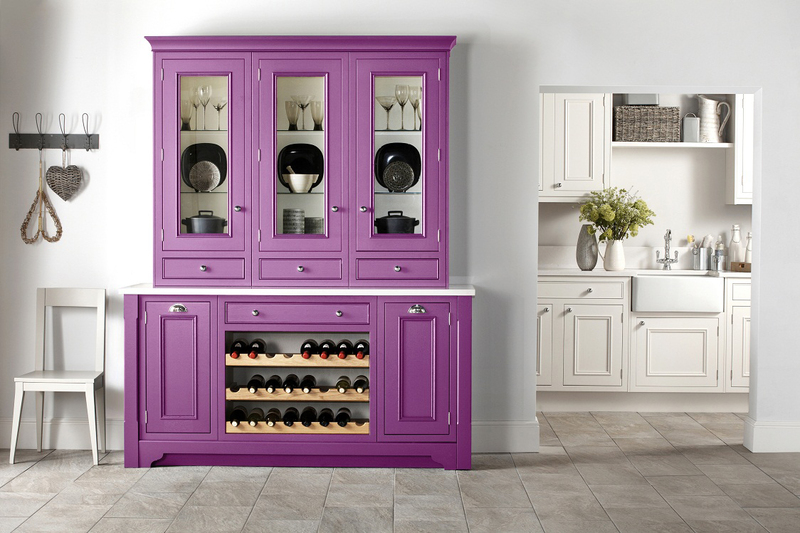 Purple is a powerful colour that can be used to counterbalance another strong colour such as brown, or highlight a plain canvas such as beige or white. 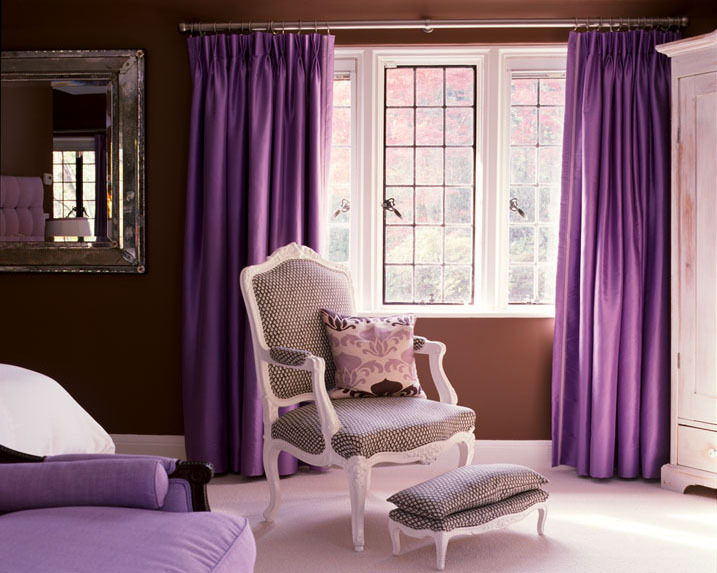 Interior designer Amanda Nisbet uses purple to great effect, even a purple ceiling can create an attractive balance to a room. Purple is a subtle yet elegant colour. 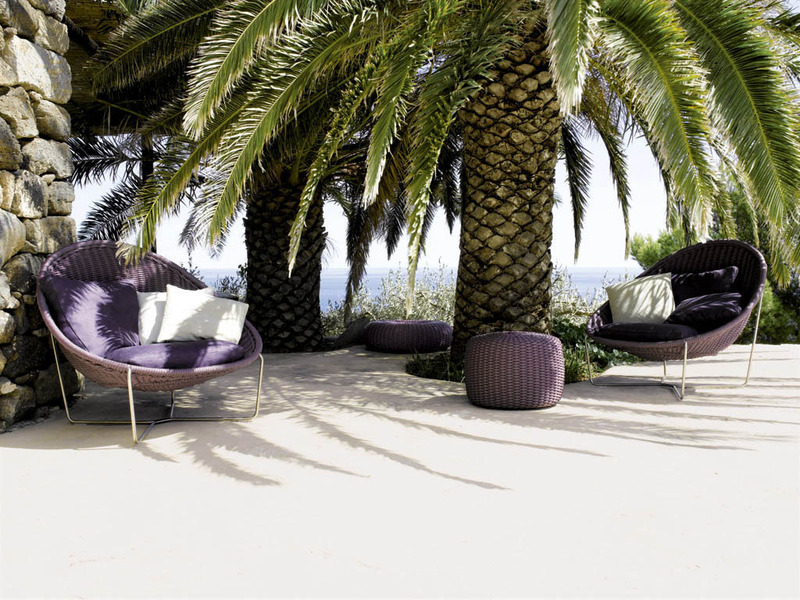 Modern furniture by Paola Lenti uses the colour in outdoor and indoor settings to highlight the canvas. 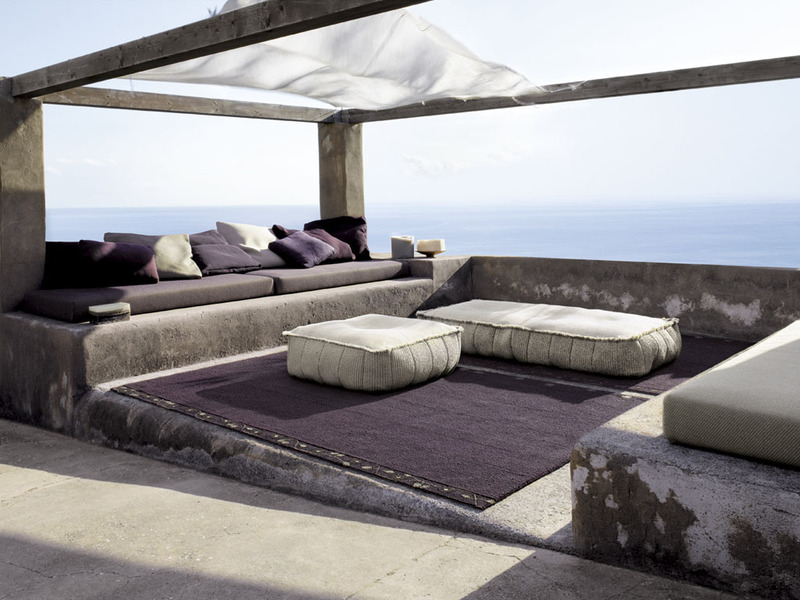 Outdoor sofas, saucer chairs and large cushions provide casual relaxation.